May 21, 2018. Greetings Splash! Families & Friends! 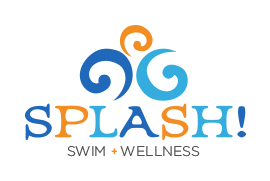 Just a reminder: we still have swim classes & makeup classes this Friday (May 25th); but our Friday night open swim is cancelled. 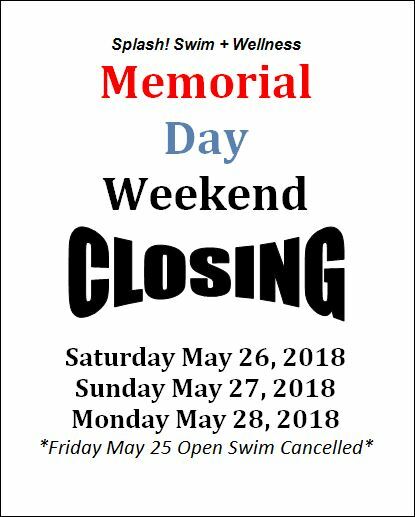 We are also closed Saturday (May 26th) – Monday (May 28th) for Memorial Day Weekend. We will fully re-open on Tuesday (May 29th). We will post another reminder later in the week. Please let us know if you have any questions @ #262-512-7946. For those of you in & on the water this weekend, please remember always your water safety & boating safety skills! Thank you!